Major Lazer is on the hunt, hide while you still can. Today they bring to you a new music video from their recent album. Titled “Scare Me“, this features Peaches and Timberlee along with a star studded cast including Terry Crews as Major Lazer and Lauren London as his sidekick. In the video we see Lazer being called up on to use his bounty hunting skills to find General Rubbish, his archenemy. Lots of visual effects and action in this one. 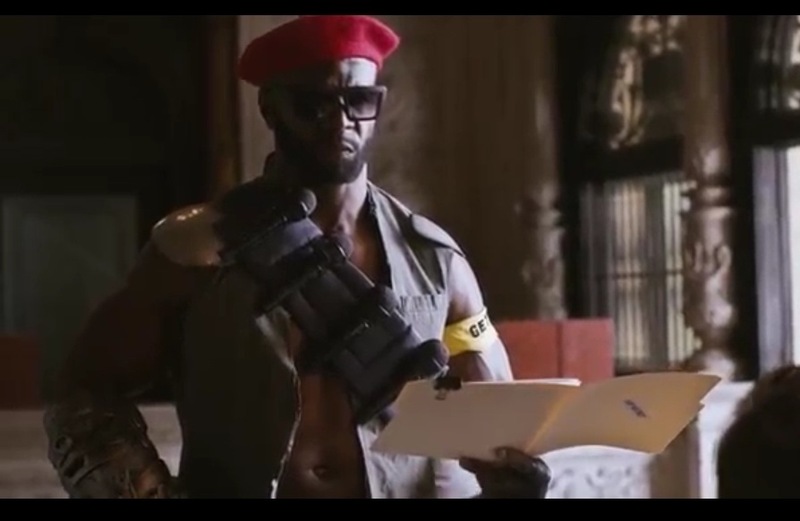 Very clean and entertaining video by Major Lazer and Terry Crews really fits the role he was given. Check out the video below and share your thoughts in the comments section. This entry was posted in Videos and tagged bounty hunter, deejay, Diplo, EDM, jamaica, Jillionaire, lauren london, major lazer, music video, peaches, scare me, terry crews, timberlee, Walshy Fire. Bookmark the permalink.